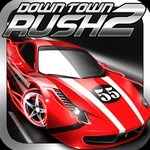 Thrill Rush 3 is an absorbing and jaw-dropping game. 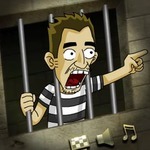 You hang around an amusement park in Friv.land and have fun. Have you ever experienced roller coaster? 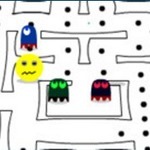 In this game, you undergo so many feelings such as fear, excitement, and surprise. 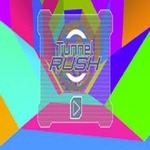 Thrill Rush 3 game pleases players after stressful school days on frivve. 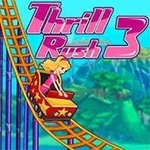 Thrill Rush 3 free game seems so splendid and fabulous. You go on a trip to a modern leisure center. You are sitting in a carriage. You are about to play roller coaster. It is like an extreme sport. You move so fast and feel the high speed. The rail is very long, bendy and crooked. 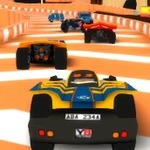 You must control the car and keep you alive until you cross the finish line. The game has 2 modes: daytime and nighttime at frivve games. The bonus in daylight mode is $1000 while the bonus in the night mode is $5000. Since rails are tortuous, it’s difficult to keep balance while you slide. You should control the character flexibly. You bow to pass through low branches and volcanoes. 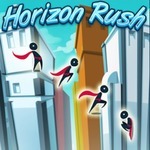 Make high jumps to avoid falling. Attempt to keep balance. Don’t fall down on holes. 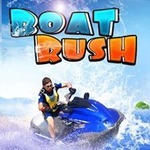 You can earn money on the way. Collect wads of notes. Each wad is $10 on frivve player games. Be careful with checkpoints because many traps are put in them. You are given 12 lives. When you use up them, you lose the game. You can continue playing a new game. A mini-map shows your journey and checkpoints. Take advantage of it. You are provided a girl, a boy in a red shirt, and two carriages for free. You can use your money to buy new characters and cars. 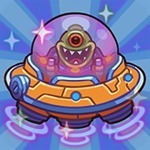 Characters and pieces of equipment value different prices in frivve for free. A blond girl costs $7500 while a boy in blue costs $5000. You use $10000 to buy a ghost and $15000 to have a dinosaur. You own a cowboy if you spend $20000. You purchase a dolphin-shaped car with $10000 car and horse-shaped car with $7500. 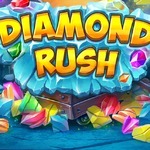 Write remarks on this game and rate it highly. Introduce it to your companions. 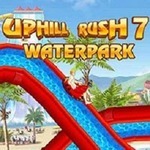 Explore other games at http://www.friv.land/ such as Uphill Rush 7 Waterpark, Uphill Rush 6, and Boat Rush. Use the up arrow to jump. Use the down arrow to lay down.